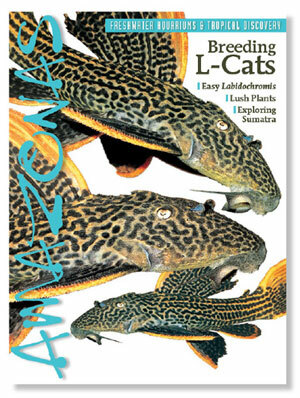 Written by experts and illustrated with breathtaking color images, AMAZONAS is a must read for the adventuresome freshwater aquarist—a constant source of new ideas, cutting edge information and inspiration for experts and beginners alike. The magazine prefers to see a written electronic query first. Send a brief email message and brief idea proposal to the Editor, including any relevant attachments in Word (.doc | .docx) or PDF format. Sample images should be low-resolution jpg files and may include protective watermarks. Payment range depends on the length of the article, accompanying photos and author expertise. Generally between $100 and $500 per article. Payments are made upon submission of a written invoice by the author or photographer. AMAZONAS Magazine buys exclusive worldwide rights to written works for publication in printed and electronic/digital formats in English and other languages. The author will agree not to revise and resell an article to a competing publisher for at least a period of six months. Prepare a query to the Editor describing, in brief, your proposal for an article or articles. Be sure to include your qualifications for writing the article. Other inclusions in a query might include: a small selection of your low-resolution images available to support the article; an introduction to the proposed article; samples of your published work.